There's a blue one local to me. Sort of mid-blue metallic, bit like a Bluestar. My mate is looking for a Tristar and has spoken to him today. Sounds like it's got lots of interesting extras for a RHD, headlamp washers, PAS, twin rear doors, plastic arch covers... Not 100% sure its a Tristar though, could be a specced up standard model. Paper sticker above the pedals or inside the front page of the service book will confirm. screwing arches on, putting a sticker on and swapping an interior isn't that hard. Look for the model number I posted above - 248AA5, also look for the M-code "314"
I hope it turns out to be genuine as well, quite offer people post on forums, If it is it would be a sweet find. And the yellow is also sweet. 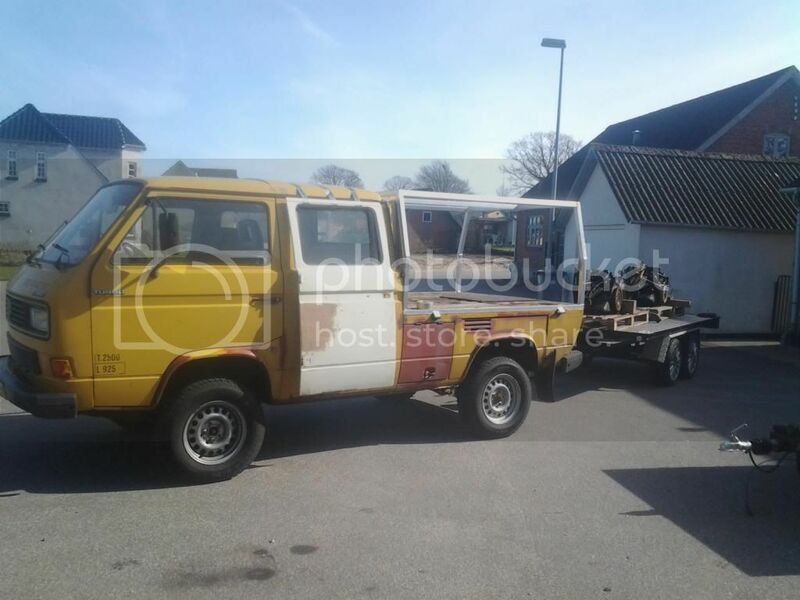 The Swedish post vans are all ordered rhd, and yellow they also had allot of extras including headlight washers. Wondered if any other vw's have been used over there in the past before the t4's. I know they now use t5's. Bamboo yellow, Brilliant orange and Liana green are my favorite T3 colours, that and Bordeux Red, would be cool I agree if it is yellow. Just need pictures and a shot of the M code sticker. Maybe it was resprayed in the company's livery ? BTW: it sits roadside somewhere near the arctic circle. I´ve got a bamboo yellow tristar, very rare, A1 original condition, never been welded..........honest! Is that original Gaffa tape too? This original VW brochure disagrees with you. That yellow one I posted a pic of is syncro and JX (its been painted, original color is white). always learning, i am sure that i read some where that they were all 2.1. but the broacher tells me other wise.